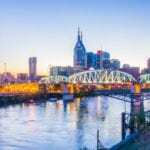 Dental health professionals from middle Tennessee and elsewhere in the country will gather with Dr. Peyman Raissi at My New Smile Dental Care as it celebrates its grand opening with the Nashville Area Chamber of Commerce. The daylong celebration will happen from 10 a.m. to 7 p.m. on Friday, April 21 at the West Nashville clinic located at 4003 Charlotte Avenue. NASHVILLE (April 3, 2017) – Dental health professionals in the region, along with representatives from the Nashville Area Chamber of Commerce, will gather with Dr. Peyman Raissi his family and Staff as he celebrates the grand opening of one of West Nashville’s newest businesses, My New Smile Dental. The celebration will occur from 10 a.m. to 7 p.m. on Friday, April 21, 2017, at the office located at 4003 Charlotte Avenue. 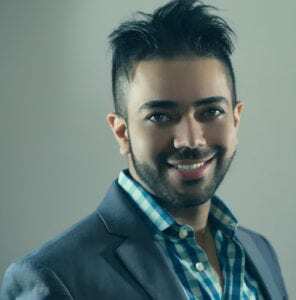 Dr. Raissi, 29, is determined not to build the traditional dental office. Already, he’s breaking the mold by doing something many other dental surgeons do not do. Offer high-quality care, specializing in dental implants, at an affordable rate. Oftentimes, his surgeries are offered for thousands less than the market rate. Like many millennial entrepreneurs, Dr. Raissi’s business is not focused on earning high profit margins. Instead, My New Smile Dental is focused on changing lives, and ultimately, improving their lives. For Dr. Raissi, who tells his patients to call him ‘Dr. PeyRay’, his practice is all about serving others, and giving back. The Nashville Area Chamber of Commerce will host a ribbon cutting ceremony at the facility to commemorate the grand opening. In addition, the event will feature an oral implant giveaway, complimentary oral cancer screenings, and Crest and Oral B electric and regular toothbrush giveaways, among several other drawings and giveaways. Let’s Booth It will be on hand to take pictures, while Venus Luxury Spa is set to provide complimentary massages. Catering will be provided by Edley’s Barbecue and Double Dogs. The grand opening is open to Meharry Medical College dental students, aspiring dentists enrolled in an undergraduate program, medical health professionals and their staff from the region have also been invited. The event is also open to the public.